We bring to you an open mic session. Purpose of the event ? It’s very simple together we are listening and sharing the stories with some magic of words and sentences. We believe that everyone has a story to tell. Inviting all those sensible story-tellers, poets and stand-up comedian to perform TOGETHER. 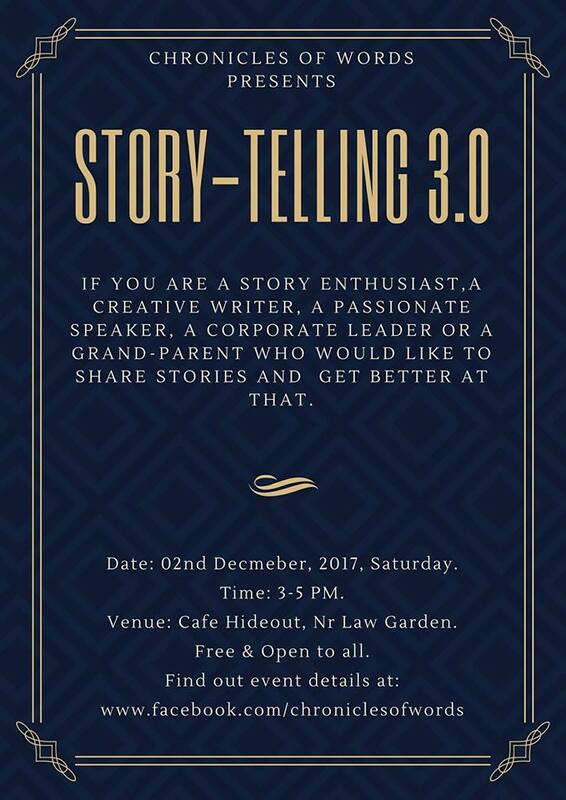 We are having our 3rd Session at Cafe Hideout, Law Garden Cross Road, Near V-Mart, between 3 to 5 PM on 2nd December, Saturday.